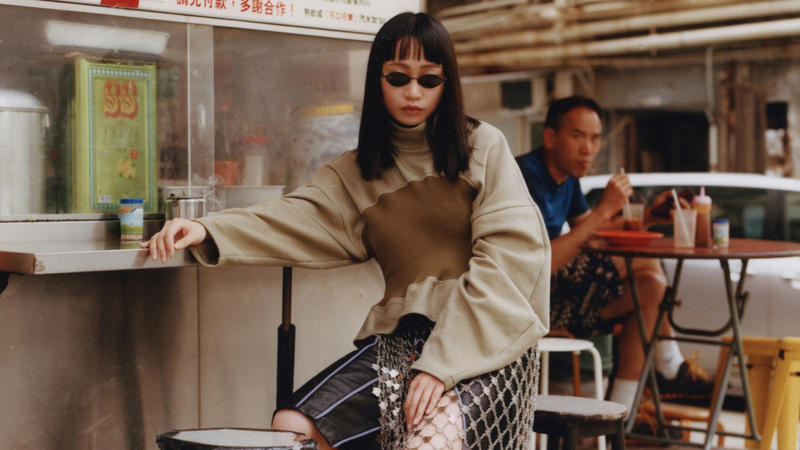 Olya roams the streets of Hong Kong to capture the ethos of contemporary Chinese fashion brand Marrknull. The label’s founders, Wang Wei and She Tian, front the series of enticing photos for Glamcult’s ‘The Pleasure Issue‘. The shoot builds upon a feeling of modern day sensory overload, sitting parallel to the spirit of Marrknull’s designs which explore the edge of Chinese culture and its marginal groups. Adept at integrating multiculturalism into their clothing, the design duo use deconstruction to discuss these structural changes through clothing. Extreme pattern making and silhouette express these unique perspectives of society. Wei and Tian break both tradition and gender bias in their garment making – culminating in a new wave of Chinese youth culture. Olya’s expressive photography encapsulates this spirit impeccably.